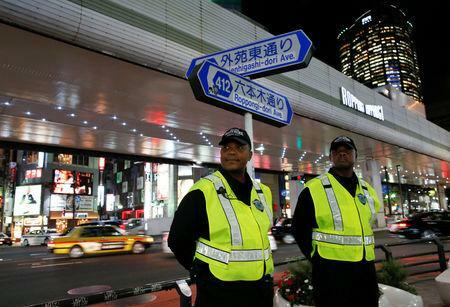 TOKYO (Reuters) - Prime Minister Shinzo Abe's cabinet approved draft legislation on Friday to open the door to more overseas blue-collar workers in sectors grappling with labour shortages, a controversial policy shift in immigration-shy Japan. Japan's immigration debate is heating up even as U.S. President Donald Trump puts the topic front and centre for next week's Congressional mid-term elections. Immigration has long been taboo as many Japanese prize ethnic homogeneity, but the reality of an ageing, shrinking population is challenging such views. 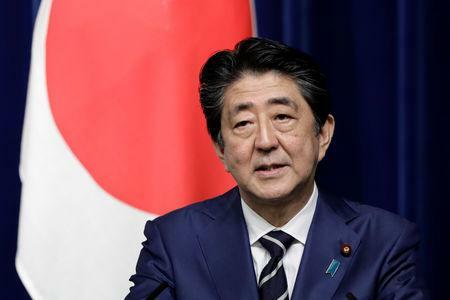 Despite misgivings in Abe's Liberal Democratic Party (LDP), parliament is likely to adopt the revisions in the face of intense pressure from businesses battling the tightest labour market in decades, although opposition parties could delay. The revised law would create two new visa categories for foreigners in sectors with labour shortages. While not spelt out, they are expected to be more than a dozen, from farming and construction to hotels and nursing care. Justice Minister Takashi Yamashita on Thursday ruled out a numerical cap, but media said 500,000 blue-collar workers could be allowed in over time, up 40 percent from the 1.28 million foreign workers now forming about 2 percent of the workforce. Workers in the first visa category must have a certain level of skills and Japanese language ability. They would not be allowed to bring family members for a stay of up to five years. But those with higher skills, in the second category, could bring family and eventually get residency. Japan has grown more accepting of foreign labour but the focus has been on professionals and the highly skilled. For blue-collar workers, employers mostly rely on a "technical trainees" system and foreign students working part-time, loopholes critics say are abused. 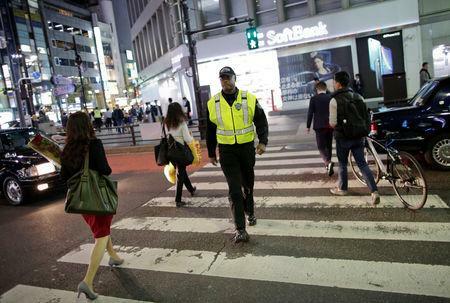 "Today it is quite difficult for foreigners to get ... jobs as security guards," said Shigeki Yawata, security manager at security firm Executive Protection Inc, which has employed non-Japanese for more than a dozen years. "The Olympic Games are coming up and the government is working on inbound tourism, so we would like to have more foreigners, too." LDP lawmakers signed off on the bill after heated party debate. Many expressed concerns about crime and a negative effect on wages. Opposition politicians accuse the government of undue haste without protecting foreign workers' rights. "The LDP decision was ... pushed by businesses with a serious shortage of workers," said Toshihiro Menju, managing director of the Japan Center for International Exchange, a think tank. Abe has said the changes do not constitute an "immigration policy", out of an apparent desire not to upset his conservative backers. Many experts differ. "I think this is a de facto shift to an immigration policy," Hidenori Sakanaka, a former head of the Tokyo Immigration Bureau, told Reuters. The tiny nationalist "Japan First Party" has protested against the changes for reasons such as fears foreigners would inflate welfare rolls and crime rates, it says on its website. A recent survey by the Yomiuri newspaper, however, showed 51 percent of Japanese voters favoured letting in more unskilled foreign workers and about 43 percent backed recognising "immigration" - about the same percentage as those opposed. "I think it’s a good thing as long as there is a support system for the foreigners," said retiree Yoshio Sai. "I wish they could make more work opportunities for us old people too."